Nimble, Quick, Durable. Made in the USA. Center of gravity shifted toward the back of the bike allows the rider to lift the front wheel easily, or lean really far forward, or lean the bike really far to either side and recover from the lean easily. Steeper head tube angle and short wheelbase create a tight steering radius for agility and responsiveness. High bottom bracket helps avoid pedal strike. 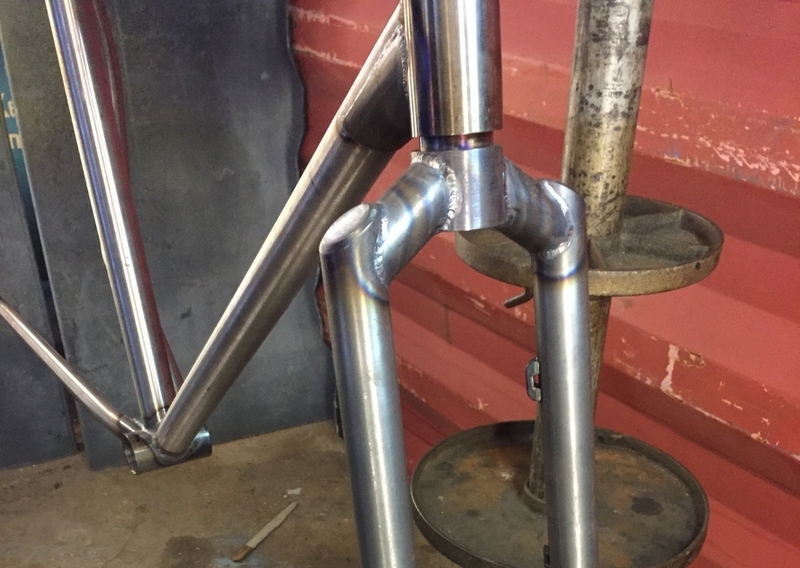 The frame is made of True Temper tubing and the fork is made of straight gauge chromoly - 4130. All Marco Framesets are made with custom Rustbelt fork ends, Paragon front disc mounts, and Paragon Adjustable Drop Outs with a rear disc mount. Built for 26" wheels up to 2.1" wide.